San Francisco area casting directors are seeking SF Bay Area local Men available this Thurs 4/9 in for an overnight shoot in SF. 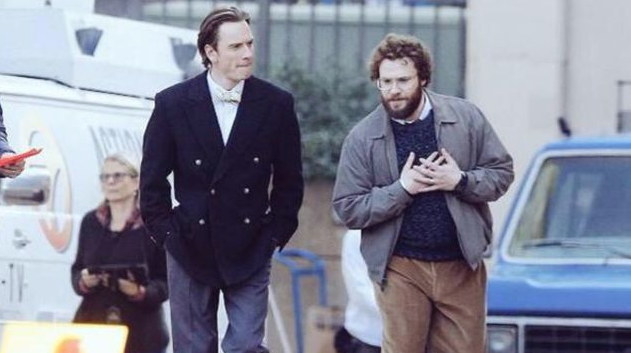 This will be the last day of filming on the Steve Jobs feature directed by Danny Boyle, Starring Michael Fassbender! The Steve Jobs film is now in production in the Bay area and has been releasing quite a few casting calls for extras. The film is set in the 80’s and the production is seeking background actors / extras who can pass for being from that time, longish hair, mustaches, for ladies… long hair, Farrah Fawcett do’s. Universal Pictures is working on a movie about the late Apple founder Steve Jobs. 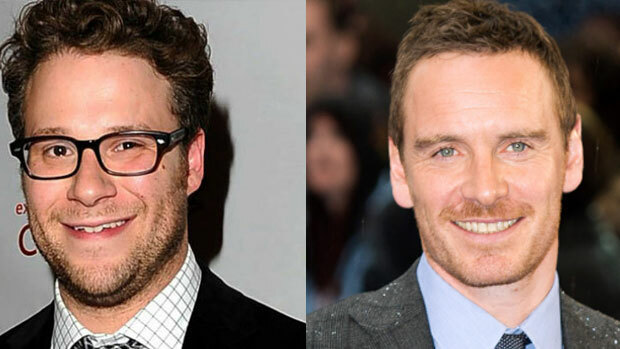 Variety reports that Aaron Sorkin (Moneyball, The Social Network, and too many credits to list here) will be helming the project that he also wrote and that X-Men: Days of Future past star Michael Fassbender is set to play Steve Jobs. Seth Rogen will also star in the film as Steve Wozniak, Apple’s co-founder and the creator of the original Apple computer. At some point both Leonardo DiCaprio and Christian Bale were considering the role of Steve Jobs but ended up passing up on the film. Universal Studios recently announced that the film will be opening in theaters on October 9th. The film is being called “Steve Jobs” on its IMDB page and is inspired by Walter Isaacson’s biography. The “Steve Jobs” film will depict three Apple product launches in a series of 30 minute scenes, or at least, that’s the rumor thus far. Bay Area Local Men 20s-50s for Paid Extra Work on “Steve Jobs” Feature Film, Shooting Overnight Thurs 4/9! 1988 Night Shoot Thurs 4/9 (SF) — Launch Attendees/Audience. This is an overnight shoot! You must be avail Thurs 4/9 from approx 10PM to early morning (i.e. 5AM or 6AM) Fri 4/10 for 8-10 hr shoot in SF. Last opportunity for extra work on the show! Seeking Union & Non Union Men 20s-50s. Men should have comb-able length hair or even short length all around, no shaved sides. No pre-fittings. New faces only. Hours/Rates: Exact start time unknown until evening before. Non Union SF Extras get a minimum payment of $88.40 for 8hrs, with overtime at time base on the SF min wage $11.05/hr. SAG-AFTRA members get Union background scale. You MUST have your own transportation. Parking & lunch provided with free snacks & drinks avail throughout when not on set. Prod. uses a payroll company which mails payment within about 15 business days. Employment Requirements: Valid Government approved ID must be presented at fitting for I-9 paperwork or you cannot be employed. U.S. Citizens can use a current U.S. Passport alone or must have two forms of ID: a valid Drivers License or State Photo ID with either a Social Security Card or Birth Certificate. Non Citizens must have a Green Card, Permanent Resident Card or Work Authorization from the Dept. of Homeland Security. * Height, Weight & Sizes. Men: Suit, Neck x Sleeve, Waist x Inseam, Shoe. * Attach 2 NEW color snapshots, chest up smiling & standing, both facing camera with dry, natural (product free) hair, down if long, no hats/sunglasses. We must see your current look! * If Union and we have not cast you for Union work before, attach photo of SAG-AFTRA card or other proof of Union membership. The computer industry website, techcrunch also recently posted this pic that was leaked off set. My name is Ashley. I am a 22 year old singer, writer, model, director and actress. I have performed in over 20 venues in NYC from Lupe Fiasco’s Album release party to McDonald’s Gospel Fest to A Biggie Smalls Tribute and more. I have been singing, writing and performing since eight years old. I am currently working on my first book “Radical Artist” which is expected to hit Amazon and Barnes&Nobles; in 2016. I have modeled and acted on a part time basis over the past seven years. I’m open minded and ready to take on anything. I am professional, reliable, fun, energetic, comical, attentive, a fast learner, able to follow direction well and ready to launch my careers. I’m looking forward to working with beautiful and creative minded people. Thank you for the opportunity! I promise if you choose me you won’t regret it!